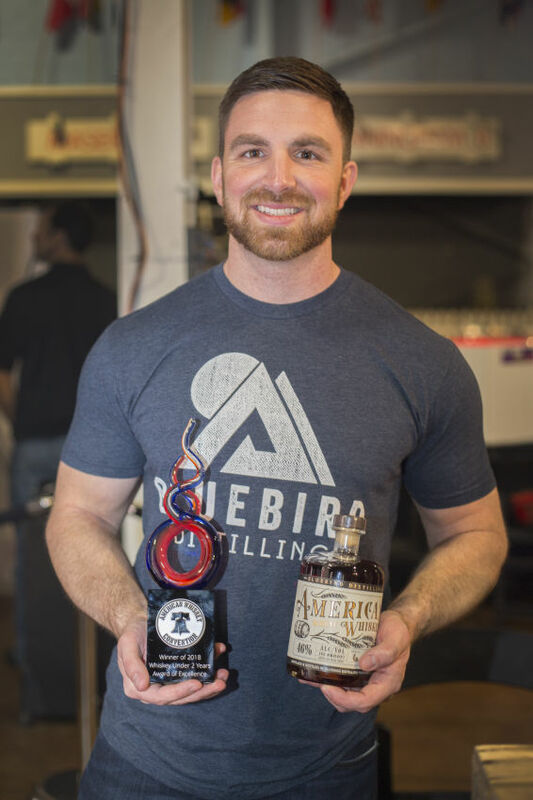 Bluebird Distillery's American Wheat Whiskey's trophy was accepted by distillery owner/distiller, Jared Adkins. 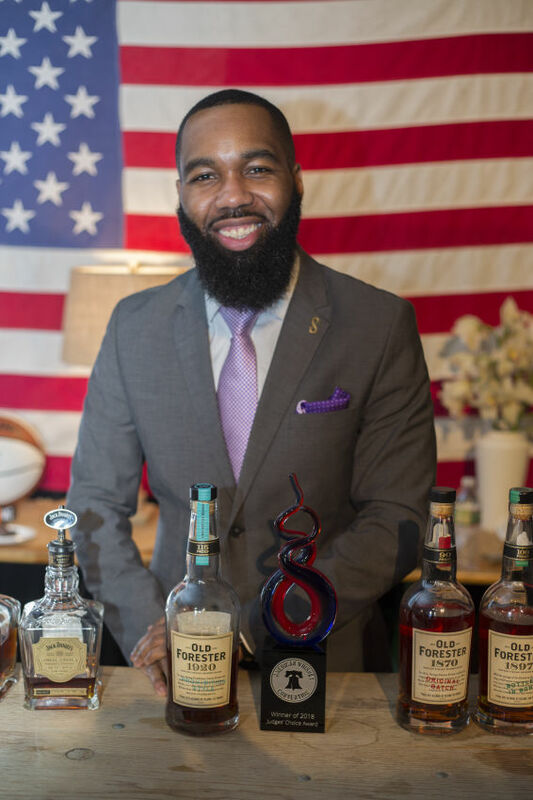 Brown Forman's Philadelphia Market Manager, Baker Blanding, accepted the 2018 Judge's Choice Award for Old Forester's 1920 Prohibition Style Bourbon. This award is given to the whiskey that stands out to the judges as their overall favorite. All judging is done by blind tasting, so this award is particularly desirable. 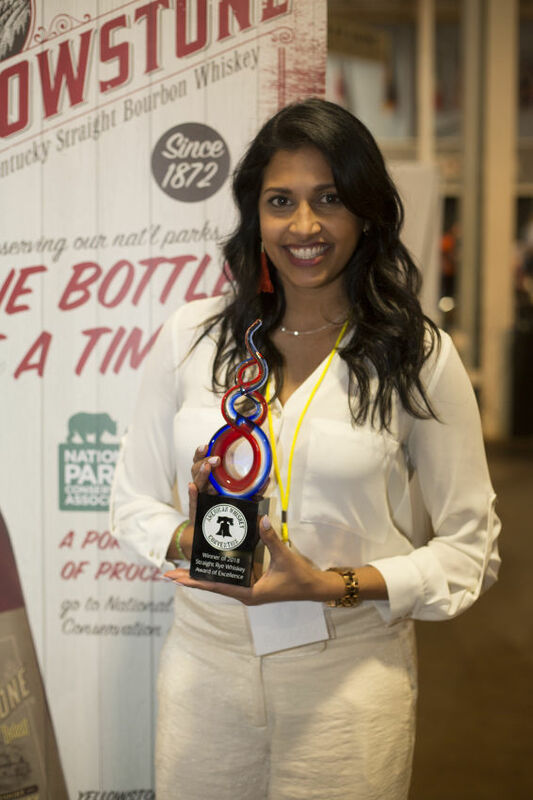 Lux Row Distillers' Portfolio Ambassador, Selnika Kandula, accepted the best straight bourbon whiskey award for Rebel Yell's 10 Year Old Straight Bourbon Whiskey. This bourbon is produced by Lux Row Distillers. 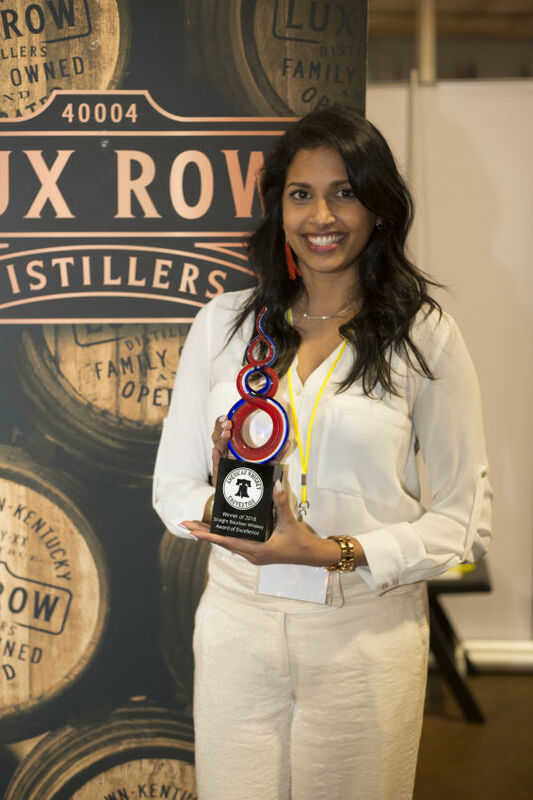 Lux Row Distillers' Portfolio Ambassador, Selnika Kandula, accepted the best straight rye whiskey award for Minor Case Rye Whiskey. Minor Case Rye Whiskey is produced by Limestone Branch Distillery which is owned by Luxco. 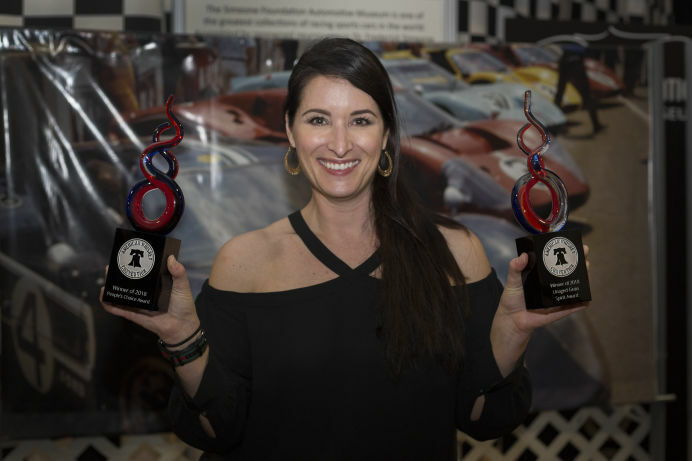 Sazerac's Brand Ambassador, Meredith Maciolek, accepted two Awards on behalf of Buffalo Trace Distillery. People's Choice Award went to Buffalo Trace Distillery and the Unaged Grain Spirit Award of Excellence went to Buffalo Trace's Unaged Mash Bill#1. The People's Choice Award is awarded by the guests of the event. Each guest is given a chip to vote with when they enter the event. It is their prerogative to deposit their chip in any one of the voting boxes on each vendor table. Voting ends 1 hour before the event ends and the distillery with the most chips wins.